How individual states are reacting to the growing social acceptance of marijuana as a medical option for specific diagnoses and as a small business engine is poised to become an unprecedented bipartisan battleground within the union’s state houses in the coming five years. After all, where else can urban liberals and don’t tread-on-me libertarians join hands? Since last month’s spending bill ended the federal war on weed, states have been given the [cough] green light to self-govern. 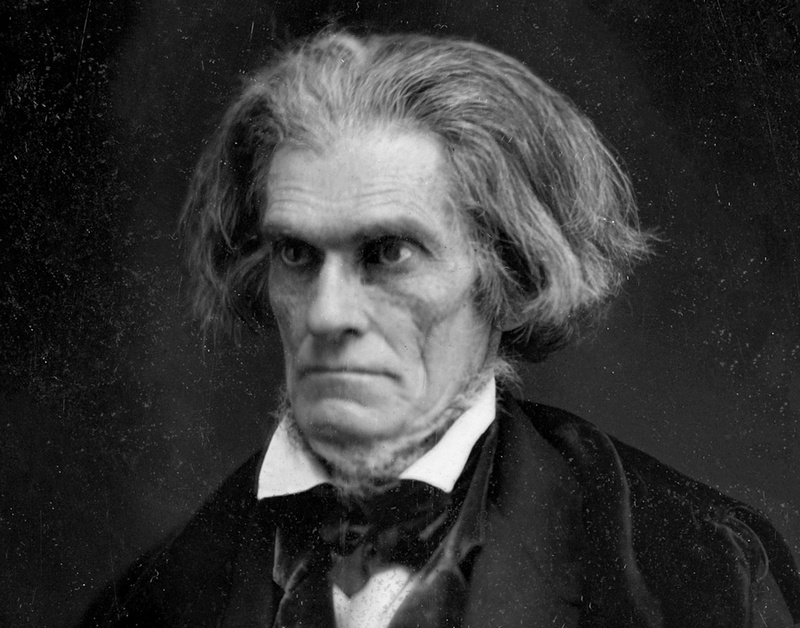 John C. Calhoun would be fascinated, and pleased. Speaking of the cast-iron man, a Republican state senator in Calhoun’s South Carolina, Tom Davis, is aggressively campaigning for a medical marijuana bill specifically for the treatment of epilepsy in children (a condition we expect to reiterate in every “Monday in Marijuana” column). There is a way to engineer the plant so that the euphoria-inducing THC levels are lower and the medically more useful cannabidiol [CBD] levels are higher, and that’s exactly where a number of medical pot advocates stand. Because too much euphoria in a world pockmarked by desperation would be too dangerous, of course. Anyway, it’s clear that state governments are keeping a close eye on news out of Colorado and Washington–where weed is legal–and on Oregon and Alaska which both allowed its citizens to vote on the issue and will thus both join Colorado and Washington at different points in 2015. Actions of unfettered democracy aside, local governments are navigating unchartered waters without a life boat with respect to establishing a working system to license and tax users and growers. We reported on the delays in New York and Massachusetts last week. Add Iowa to a growing list of states with medical marijuana laws on the books that are dragging their heels, mired in their own ouroboros of politics and bureaucracy. But, more food for thought for the procrastinators: an Associated Press piece this week on Washington’s weed situation revealed that legal weed dispensaries are hurting due to the high tax levy placed on recreational pot. Smokers are relying on their pre-existing black market connections, or are seeking reportedly dubious avenues into medical weed that is taxed at a lower rate. The non-medical dispensaries are seeing chiefly tourists and well-heeled professionals.